According to the NEA study, Colorado attendance ranks in the top five nationwide in all visual and performing arts categories, and number one in classical music, nonmusical plays, dance, outdoor performing arts festivals and visual arts festivals. Sullivan said Telluride is likely unique statewide in its combination of a small population and large and diverse arts scene. But, Sullivan added, statewide government policies have contributed to the state’s status as a national arts leader, and Telluride’s ability to compete with larger cities as an arts hub. Sullivan referenced Colorado Creative Industries, a nonprofit arts granting organization under the auspices of the Colorado Department of Economic Development and International Trade, as a key factor in recent growth. The Sheridan Arts Foundation is another local recipient of CCI grant funds. SAF PR and Marketing Director Kathrine Warren thinks Telluride’s arts scene is a response to the seasonal economy. “The combination of being a ski resort town and trying to sustain the economy year-round leads to development of arts and culture to try and keep people here during down times,” she said. The 2012 NEA study surveyed 37,000 adults nationwide in order to compile the data. According to the study, 52 percent of Colorado adults reported attending a live performing arts event, compared to the national average of 37 percent. An even higher 59 percent of Colorado adults said they’d been to a visual arts event, compared to a national average of 39 percent. “Telluride is certainly not Denver or Boulder, but for our size the offerings we have in Telluride are amazing and can even be overwhelming at times,” Warren added. Feast your eyes on some of the priciest homes on the planet. Details: The largest property in the Yellowstone Club, a private ski and golf community for the mega-rich, the house has heated floors, multiple pools, a gym, a wine cellar, and even its own ski lift. Details: The 27-bedroom castle, used in the movie The Godfather,has hosted John and Jackie Kennedy, Clark Gable, Winston Churchill, and other famous figures. 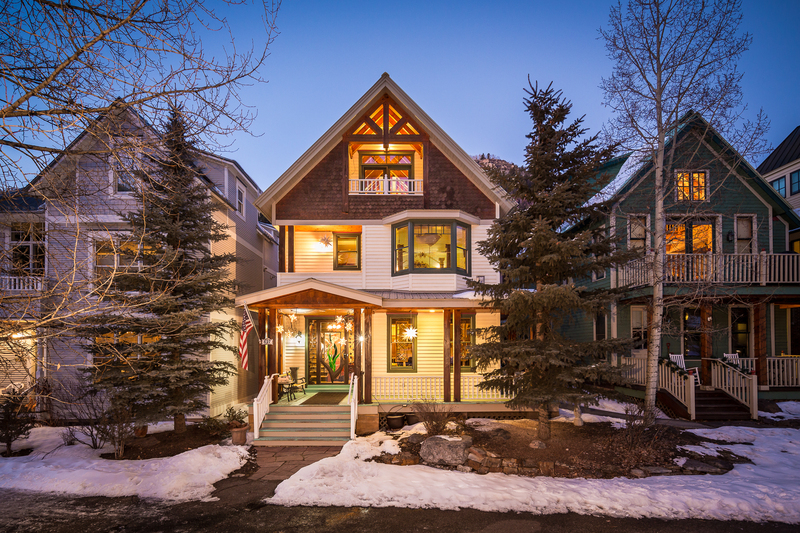 Owner: The British Sovereign—Currently Queen Elizabeth II, who has ruled since February 6, 1952.To visit Telluride Luxury Properties, click here. The San Juan Mountains are some of the most spectacular mountains in the state of Colorado, if not the world. The rugged beauty of the mountains surrounding Telluride is breathtaking. Many people find balance when they head out to enjoy this picturesque sanctuary. To view more information and pictures, click here. You clicked and we calculated. Back by popular demand, here are the 10 most viewed properties on sothebysrealty.com for 2014! Take a tour around the world and see which properties topped the list! Located in an easily accessible yet ultimately private location, this southeast facing mansion sits on the coastline with its own sea access and old light house. Exuding elegance and casual luxury, the main house has accommodation for 22 people, two separate guest houses for 14 guests and a staff house with 4 bedrooms, a unique infinity pool, spacious salons, various sea-oriented entertaining areas, a tennis court and luscious gardens. Nestled deep within the rarest assemblage of rolling meadows and mature forest just 12 minutes from the historic resort town of Telluride, Colorado, this property offers the ultimate retreat for those seeking privacy, scenic beauty and serenity. A warm and inviting main house and story-book guest house are situated upon a rise overlooking the regions towering 14,000-foot peaks. The property’s vast acreage is threaded by a private trail system providing gated access into tens of thousands of acres of surrounding National Forest. Located in the heart of the unique enclave of Lions Head Nature Reserve in Cape Town South Africa, lies a Villa so spectacular in contemporary design, it is a true architectural feat. High above the cityscape this exquisite Villa enjoys unobstructed, panoramic views of Clifton’s four famous beaches and the expanse of the Atlantic Ocean. One of Germany’s most beautiful historic properties, Burg Rheineck is located just 30 kilometers south of Bonn, the former capital of Germany. The castle is located on top of a hill overlooking Bad Breisig, known for its thermal springs and the beautiful promenade along the Rhine River. The castle has seen many famous visitors over the centuries including the German emperor Kaiser Wilhelm, Mikhail Gorbachev, John F. Kennedy Jr., Yehudi Menuhin, Alexander von Humboldt and many others. Located in Son Vida, this unique villa enjoys breathtaking views of the sea, Palma city and its port. The Chameleon Villa boasts extraordinary light effects, consisting of the finest LED technology, which can be programmed to change colors on a whim. Comprised of three buildings, the main house is spread over three floors including a living area, library, TV room, bedroom suites, kitchen and wine cellar. In the second building are swimming pools, fitness and spa area. The third building is the guest house. James Island is a 780-acre private island prominently situated within Canada’s famous Gulf Island archipelago. The second largest privately owned island within the Gulf Islands, James Island is as rare as it is unique. Steeped in a rich and documented history, the island has had several lives: from agricultural settlement; to an industrial plant and company town; to its present incarnation as an exclusive retreat and a return to much of its natural state. Built by Prince Karim Aga Khan, this waterfront villa on the north shore of Sardinia boasts thirteen bedrooms and its own private beach. The home is situated above the bay of Porto Cervo to capture spectacular views while maintaining privacy with unmatched luxury. Plush couches and poolside lounge areas create comfortable outdoor living spaces for relaxation and entertainment. Luxurious Bahamian-inspired estate designed and custom-built in 2010 by international superstar Celine Dion for her and her family. Located on the exclusive Jupiter Island, this 5.5 acre property with over 415 linear feet on the Atlantic Ocean is being sold turn-key with almost all its contents. Villa Maria is a private and magnificent waterfront estate with stately gardens and glorious views of Mecox Bay. At 22,000 sq. ft., it has 11 bedrooms including a 6-room beautifully appointed master suite, a handmade stone and wrought iron staircase, a 60 foot living room with original fresco details a state of the art kitchen and a wine cellar. All principal rooms are brilliantly sunny and take advantage of the panoramic water views. The outdoor spaces feature a grand 2-story portico and a large stone terrace overlooking the wide lawn and bay. There is a waterside pool, pool cabana, tennis court and a charming two-bedroom guesthouse. Just ten minutes by helicopter to Miami’s South Beach or by boat to Key Largo, Pumpkin Key is an extraordinary private island totaling 26 acres located in the Florida Keys. Self-sufficient with water and electric from the shore, the island currently features one main home with three bedrooms, two caretaker’s cottages, and a dock master’s apartment. The island also includes a 20-slip marina able to accommodate a mega-yacht, tennis courts that also serve as a helipad and golf cart paths that circle the island. Click here to visit Telluride Luxury Properties. Telluride is surrounded by time. It’s found in the 13,000 and 14,000 foot San Juan peaks that were formed over millions of years. 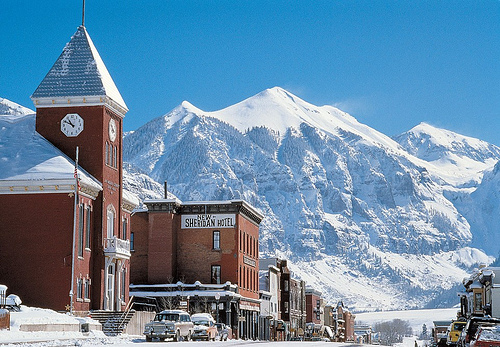 It’s in the historic mining structures that the people of Telluride have fought to preserve. Yet, time seems to fly past us in an instant, especially when we lose ourselves in this place. Our final episode of the #TellurideInaWord video series explores time in Telluride. Get off the clock, sit back and enjoy. [Time] is the sixth and final video in the series. Award-winners were determined using an algorithm that primarily measured the year-over-year increase in positive TripAdvisor traveler review ratings on accommodations, restaurants, and attractions, across destinations worldwide. Prescott offers thrilling outdoor excursions including 450 miles of trails, rock climbing locations, and Watson Lake, the perfect spot for kayaking. In between al fresco adventures, travelers can indulge at Papa’s Italian Restaurant, described as “yummy, authentic and accommodating,” by a TripAdvisor reviewer. Situated along Lake Michigan, this outdoor adventure hub is known for its cuisine and culture. Described as “a fun and pretty spot for families,” Clinch Park has impressed TripAdvisor travelers with its beach and stunning views. Visitors also rave about the Asian-inspired fare at Red Ginger, “one of the leaders in fine cuisine for Traverse City,” according to a TripAdvisor reviewer. 7. Avalon (Catalina Island), Calif. This quaint island community offers endless fun and adventure. TripAdvisor travelers enjoy hiking in the Catalina hills and taking in the sights at Descanso Beach, “a wonderful place to sit and enjoy the seaside.” Guests can also peruse the shops and restaurants including Steve’s Steakhouse, where the “service, food and drinks are amazing,” noted one TripAdvisor reviewer. Click here for the article online.